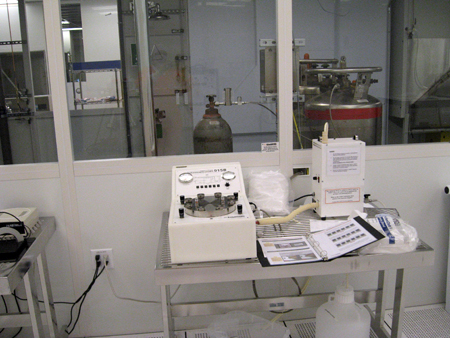 Deep Reactive Ion Etching is done in equipment that facilitates both chemical and physical etching of dielectrics, metals, and polymer films. Inductively coupled plasma processing facilitates high aspect ratio etching. 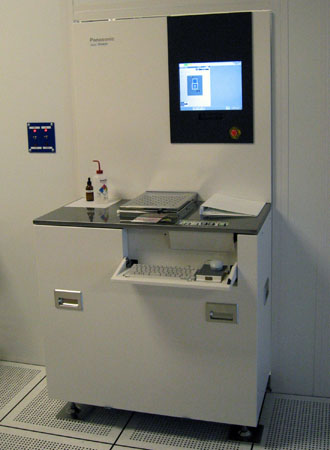 The plasma tech parallel plate reactive ion etcher is used for etching a variety of materials. 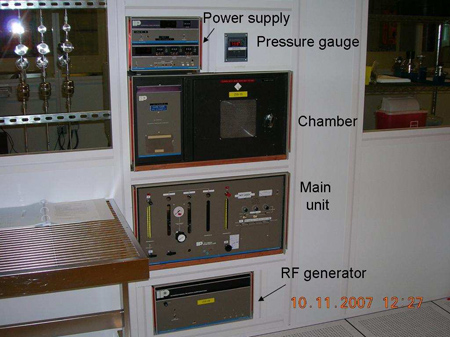 Other plasma systems are used for photoresist ashing, silicon etching, and anisotropic etching of a variety of materials. 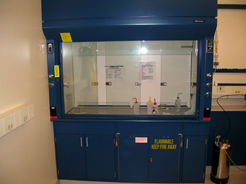 Chemical fume hoods are provided throughout the facility, in both the cleanroom and the laboratories, for chemical processing using acids, bases, and solvents. 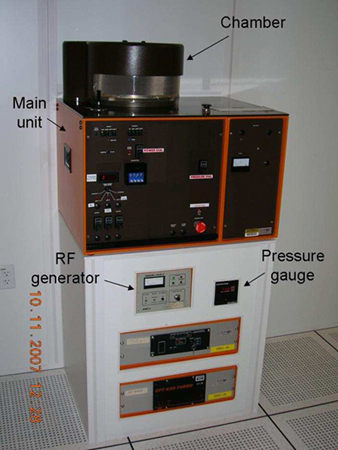 A critical point dryer is provided to eliminate stiction of cantilever beams in MEMS processing, and our Xenon Di-fluoride system is also used in the MEMS process to etch silicon.